It’s another edition of WIP Wednesday with your host, Tami! Today I present you a dishcloth. Yeah, so I took a few days off from the socks (coming along nicely) to make a quick project. I chose a cute cloth out of cute cotton! It’s out of the Mason Dixon patterns and so far, love! I am debating giving this as a gift when done. Probably not, as I do love my purple…. ← Fashion Show at Knitting…. What’s it going to look like,love the color, but you didn’t say what the pattern or stitch you were using is. Also…what yarn, have never seen cotton such a pretty color. It will end up an octagon-ish shape, kinda different and I am using a pattern from Mason Dixon, I beleive it is just called Dishcloth. 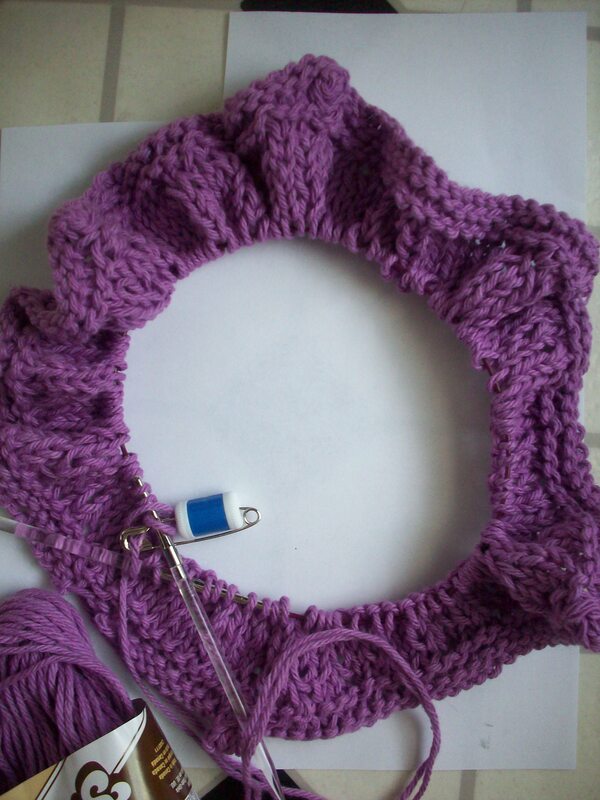 I am knitting in Lily Sugar and Creme in Plum. I was drawn to it in the store. I love purples!! what yarn are you using?